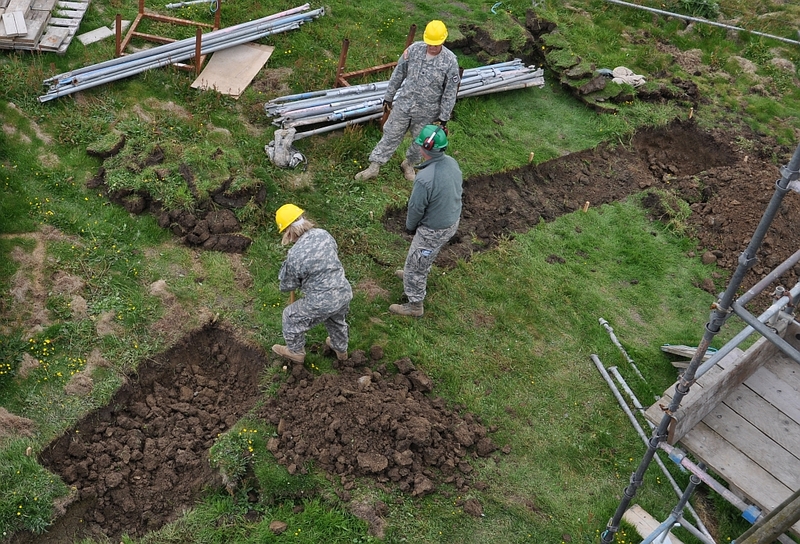 Our project has taken big strides in the past week with help from the British Army and US National Guard in restoring Orkney’s Kitchener Memorial and building a commemorative wall to the men lost with him on HMS Hampshire during the First World War. 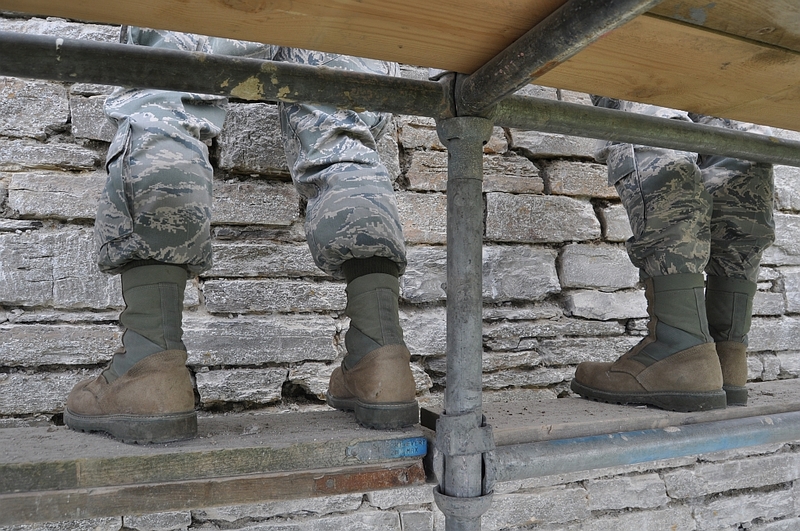 A squad from 71 Engineer Regiment’s 10 (Orkney) Field Troop have been working with colleagues from both the US Army National Guard and the Air National Guard. They are due to finish their part of the project tomorrow (Tuesday 4 August). Earl Kitchener himself served with the Royal Engineers so it was appropriate to have some of his successors working on his memorial’s restoration (mortar picking) and creating the foundations to the new HMS Hampshire commemorative wall, alongside our contractors Casey Construction Ltd. 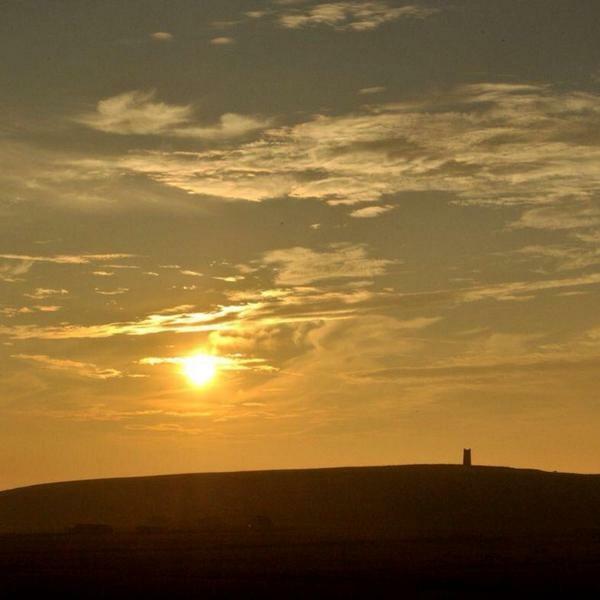 The appearance of the military at Marwick Head caused much interest locally. You can read a detailed report in The Orcadian newspaper when it publishes on Thursday. Andrew Hollinrake, a member of our Kitchener & HMS Hampshire Memorial project committee, told the press: “We are most grateful to the Royal Engineers for their help on this important memorial work. Their effort moves our work on substantially, and reduces our funding gap. We are getting donations from relatives and others, but still have a gap to fill. “Several of Kitchener’s party setting out for Russia were serving Army officers, and two senior civil servants from the Ministry of Munitions in the party were temporarily given Army rank, a Brigadier-General and a Lieutenant-Colonel, presumably for the benefit of the Russians who no doubt would expect such a military mission to be made up of high-ranking officers. Earl Kitchener, Britain’s Secretary of State for War, was among those lost when HMS Hampshire, sailing from Scapa Flow to Russia, sank just off Orkney’s Atlantic coast in 1916. Restoration work started on the 90-year-old Kitchener Memorial, a 48-feet high stone tower, at the end of June. 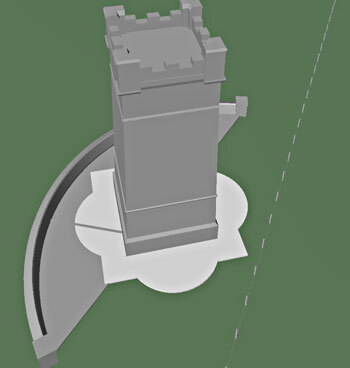 It involves restoring the stonework to its original condition, inspecting and repairing the roof, reinstating the ventilation and restoring the inspection doorway. The HMS Hampshire wall – to “better remember” all those lost on HMS Hampshire – will, when complete, carry the engraved names of all 737 men lost with the warship. 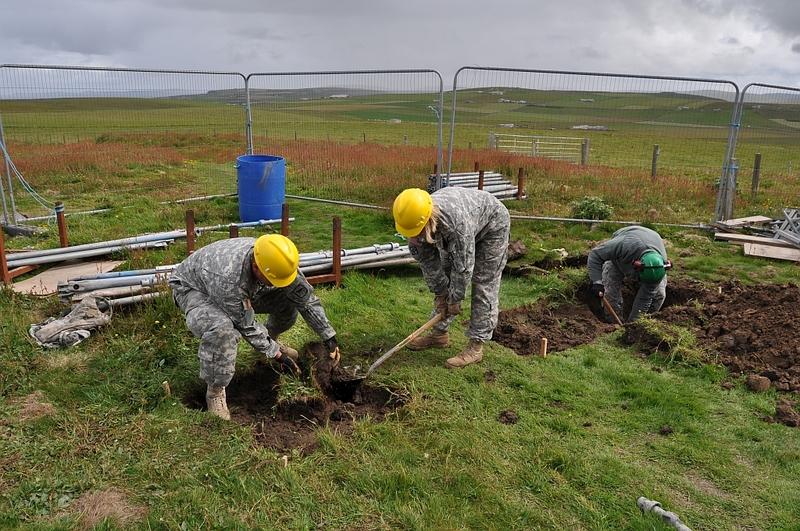 Orkney Heritage Society volunteers still need around £15,000 to complete the project and are seeking further funding. A fund-raising guided walk on Sunday led by Andrew to Stromness wartime sites, including the Ness Battery, raised £115. Anyone wishing to donate towards the project can do so online at justgiving.com/orkneyheritagesociety/ or send a cheque payable to Orkney Heritage Society. 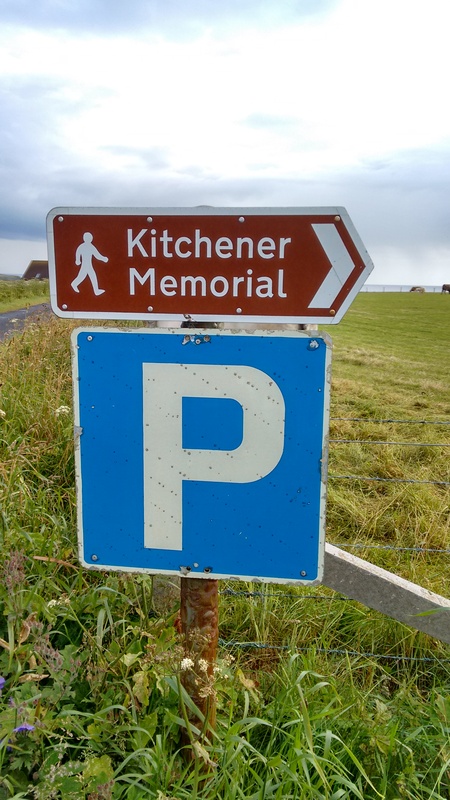 Please continue to follow the progress of our project via this blog, on Facebook (@Kitchener.Memorial) and Twitter (@kitchenerorkney). Oh, and if you are a reader of the monthly magazine Living Orkney, we’re in that as well. L.C. Littlejohn’s article is in the August edition, in the shops now.